Originally renewed on an annual basis, the agreement to prevent soy trade linked to deforestation now guarantees long term protection for the Amazon. BRAZIL - The landmark Soy Moratorium, an agreement between civil society, industry and government which prevents major traders from selling soy linked to deforestation in the Brazilian Amazon, was renewed today. The agreement, signed in a ceremony at the Ministry of the Environment, renews the moratorium indefinitely – or as the renewal document says – until it is no longer needed. Originally established in July 2006, the Soy Moratorium was renewed annually starting in 2008. “The renewal of the moratorium indefinitely ensures producers and trading companies can continue to rely on forest friendly Amazon soy to keep the doors to the global market open, even in times of environmental and political-economic crisis”, said Paulo Adario, Senior Forest Strategist for Greenpeace International and signatory of the agreement. Soy tops the list of exports of agricultural commodities in Brazil, having generated US$ 31.27 billion in revenue in 2015. The agreement, which guarantees market access only to soy that is free from deforestation, slave labor or threats to indigenous lands, was ratified by the Minister of the Environment, Mrs. Izabella Teixeira, and by the coordinators of the Soy Working Group (GTS – Grupo de Trabalho da Soja) – Mr. Carlo Lovatelli, President of ABIOVE (the Brazilian Association of Vegetable Oils Industry); Mr. Sergio Mendes, General Director of ANEC (Brazil’s National Association of Grain Exporters); and Mr. Paulo Adario, from Greenpeace and GTS Civil Society Coordinator. Since the initial signing of the Moratorium, the area occupied by soy in the Brazilian Amazon biome grew from just over 1 million to 3.6 million hectares, with only 0.8 percent in newly deforested areas. “This large increase in soy production while respecting the moratorium is proof to the market: producing without destroying the forest is good business”, said Adario. Ending deforestation is part of the UN Sustainable Development Goals, signed by several countries, including Brazil, and a demand from more than 1.4 million Brazilians as part of the Zero Deforestation bill, delivered to the Brazilian Congress last year. The Soy Moratorium is one of the best examples of how Zero Deforestation can work and proof that ending Amazon’s destruction can work for industry, government and forests. 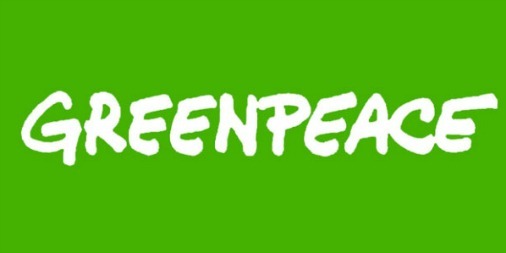 Greenpeace will continue to fight for Zero deforestation as it strives to prevent catastrophic climate change – the two major threats to the planet’s largest remaining rainforest. On July 24th 2006, ABIOVE and ANEC (National Association of Cereals Exporters) announced a two-year moratorium on buying soy from newly deforested areas in the Amazon or from farmers using indentured or forced labourers. That agreement has been renewed regularly and was set to expire in May 2016. The moratorium followed an investigation by Greenpeace that proved that soy cultivation had become a new threat to the Amazon. A Soy Working Group (GTS) including ABIOVE, ANEC, soy traders, NGOs and social organisations was established in October 2006 to ensure the implementation of the moratorium.